We work with shapes a lot in our home. 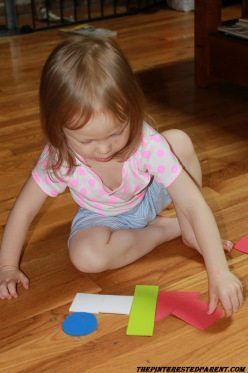 Our daughter has a great imagination & I love watching her create different objects & characters out of assorted shapes. She tells me wonderful stories about her creations as she builds them. 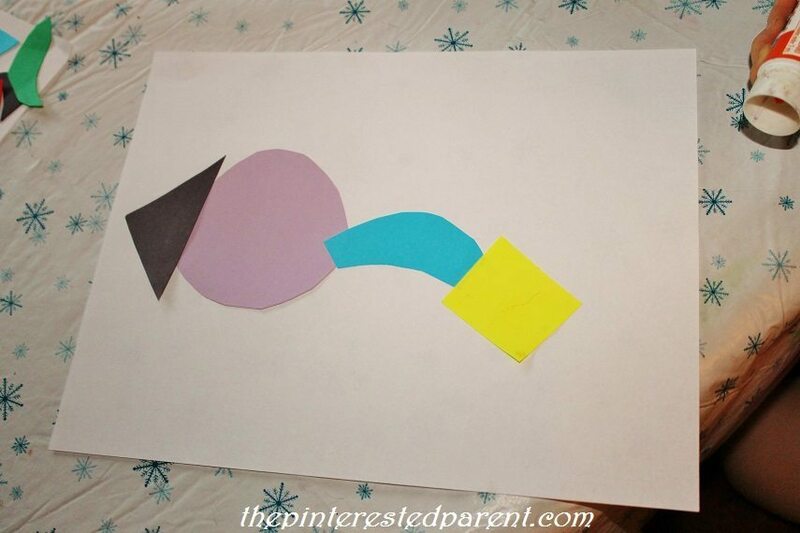 I thought that it might be fun to put some of these shapes to use in an art project. Last night I gave Mai a little lesson in abstract art. “What is abstract?” I am not certain that mommy did a great job of explaining this to a 3 year old, but I gave it my best shot while showing her at the same time. 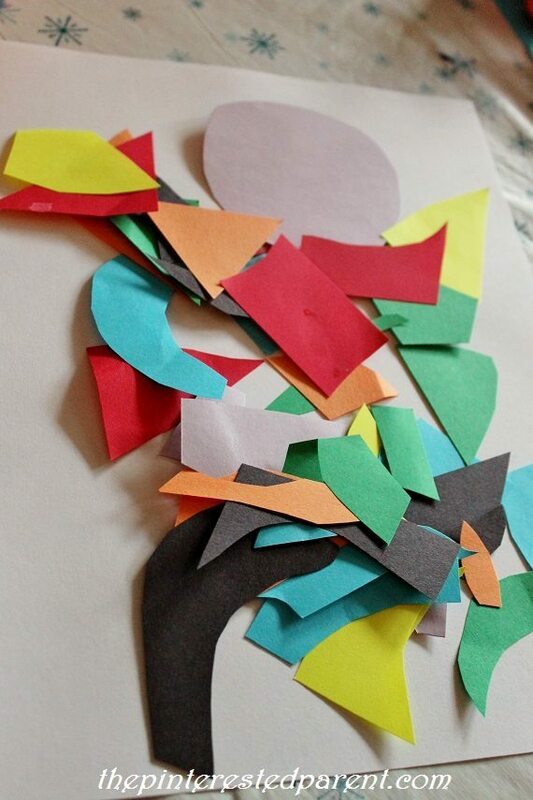 We cut out a wide variety of shapes in assorted colors. 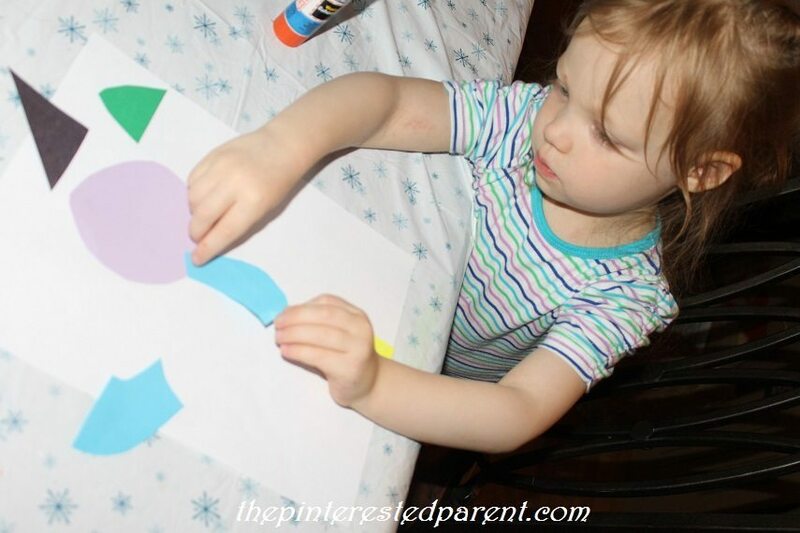 The first shape she reached for was the circle. 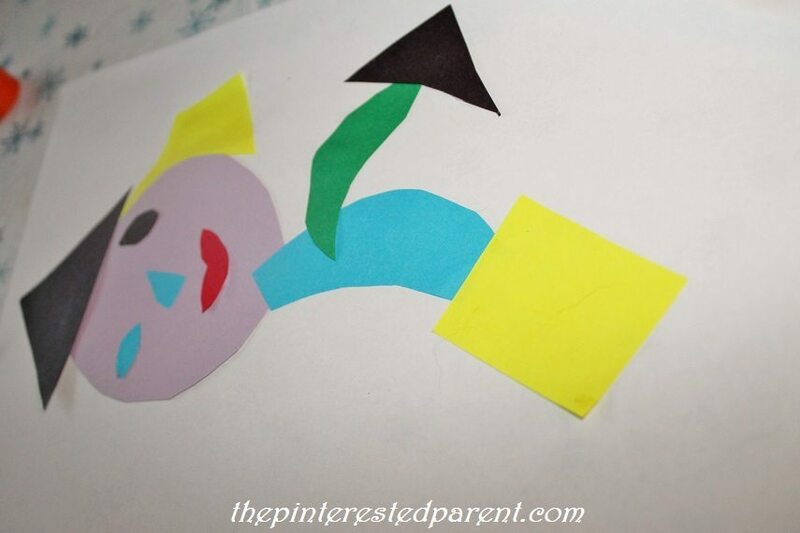 “This is a head.” She glued it onto a piece of paper using a glue stick. She insisted that she put a face on her project, so we cut out a mouth, eyes & a nose. 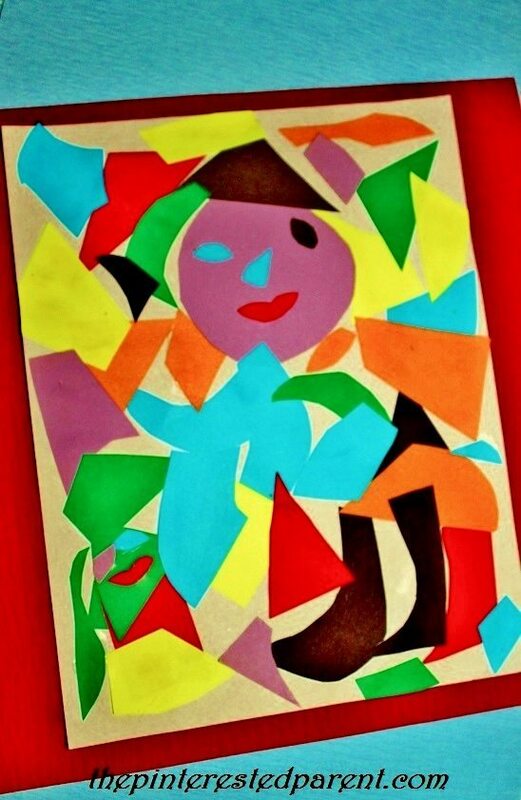 She created her face & then strategically placed the rest of her shapes, giving me a play by play of what each shape represented along the way. 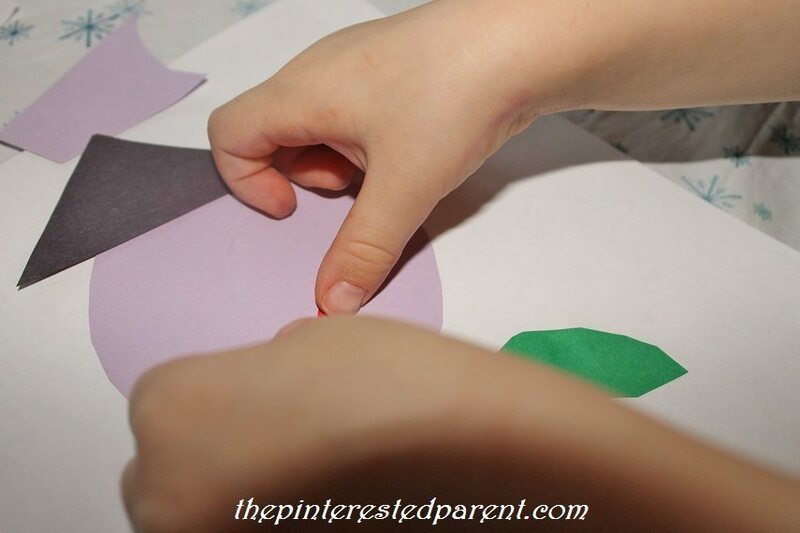 After they are finished, trim any pieces hanging over the edge of the paper. 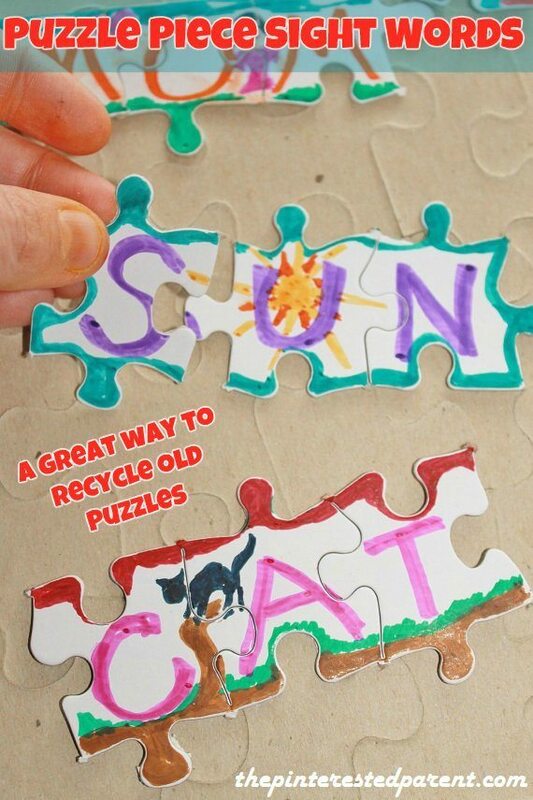 Let the glue dry & admire your child’s work. She did such a beautiful job on her project. This might have to be put in a frame. Thanks! I thought so too. She was really focused on it. She had a whole full story to go with it too. SO cute! Love this post. Super way of getting kids busy this monsoon. Besides, abstract is quirky too. Love to pass on my quirkiness to my baby. We will definitely try this out! Thank you. I love watching them work with the abstract. It is very interesting. 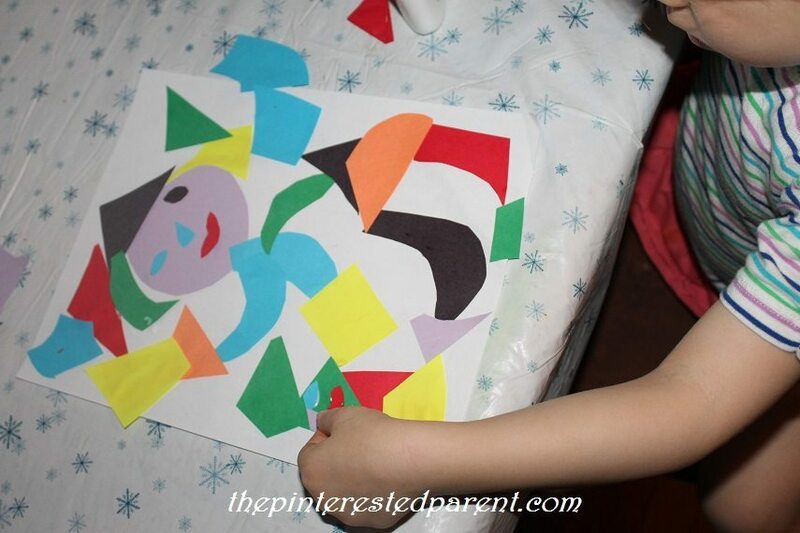 This was a great craft & activity for her.